On Sunday, May 25, 2008, Rev. Tony Ponticello addressed the congregation at the Community Miracles Center in San Francisco, California. What follows is a lightly edited transcription of that lecture. The title of my talk today is “Dealing With Disappointment.” How do we deal with disappointment? How do we cope with disappointment? It’s common in the New Age and spiritual community – the New Age spiritual community that I’ve been involved with for many years – to usually want to deny that we are disappointed. Nobody wants to admit it. Nobody wants to admit anything negative about themselves. They would never say they were disappointed. Disappointment is a form of conflict. We can’t deny it, or evade it, or set it aside, or disguise it – just plain pretend it is not there. It is there. It is a form of conflict and it is there for all of us. We have to see it exactly as it is if we’re going to get past it and get beyond it. If we’re disappointed it is usually because something is happening that we didn’t want to happen, or something is not happening that we wanted to happen. We have a conflict that is going on within our minds. The challenging thing, I believe about A Course In Miracles, is for us to understand that we are not actually disappointed because something is happening that we didn’t want to happen or because something isn’t happening that we wanted to happen. The truth is disappointment is not dependent on circumstances. Disappointment isn’t dependent on any of these things that seem to be going on out there in the world. We’re disappointed because we’re choosing to think thoughts that lead to feelings of disappointment and we could always choose other thoughts. It isn’t dependent on the circumstance. A Course In Miracles tells us, “When you think you are projecting what you do not want, it is still because you do want it.” (Tx.Or.Ed.11.68) The truth is we are always getting what we want. Whether we are able to admit that or we are unable. Whatever is there in front of us is what we are choosing and it is what we want. We can always choose to perceive it in a positive light regardless of what we are feeling. ACIM says, “I am responsible for what I see. – I chose the feelings I experience, and I decided – on the goal I would achieve. – And everything that seems to happen to me – I asked for and received as I had asked.” (Tx.Or.Ed.21.15) All the feelings that we have, all the experiences that we have, we’ve chosen them. They are happening to us exactly the way that we have chosen them. Many years ago, I believe it was in 1991, the rock group REM had a song called “Shiny Happy People.”** This is an interesting song. It’s actually, I believe, about the shallowness of the facade of happiness. People aren’t truly as happy as they are trying to shine and pretend that they are. I think that was a great song. It should be the theme song of a lot of people in the New Age movement. They are trying to be these shiny, happy people and they wear a facade of happiness, but you usually can see through this facade, or you usually feel through this facade. You know it isn’t the way it’s appearing and there’s something basically dishonest about the presentation. I believe, in truth, A Course In Miracles talks a lot about disappointment. The word “sigh” is actually there nine times. We sigh when we are disappointed. Things aren’t the way that we wanted them to be. 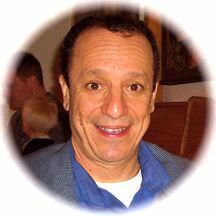 ACIM talks about sighing. In one interesting quotation when the Course talks about sighing it’s actually “Truth” that is sighing. Maybe it’s the Holy Spirit who is sighing. It’s an interesting twist to the word usage. This is the paragraph. In that passage the Course in anthropomorphizing “Truth.” It’s making “Truth” into an entity or a being. Possibly it is referring to the Holy Spirit. It is saying that Truth, or the Holy Spirit, is always offering us this new perception and when we don’t choose this, It sighs. Truth is a little disappointed that we are not choosing it. Now if “sighing” is okay for Truth, okay for Holy Spirit, it must be okay for us too. It must be okay for us to acknowledge that we are disappointed and have a sigh. In fact, if we don’t acknowledge that, how are we ever going to shift off it? Always trying to present ourselves as “Shiny Happy People” all the time isn’t going to work. A Course In Miracles actually talks about God being disappointed in one place, even more than disappointed. God’s right to the point of despair. The Course talks about God weeping. God is crying. This passage tells us, “There is time for delay, but there need not be. God weeps at the sacrifice of His Children, who believe they are lost to Him.” (Tx.Or.Ed.5.93) We have God, here, being disappointed that his children appear lost to him. He/She is so disappointed that She/He is weeping. This has always been a very controversial passage in ACIM. Just about every teacher I know says that we have to relate to this as a metaphor and not the real truth. In other words, we have to relate to it as a poetic figure of speech. Okay, so maybe God isn’t weeping in terms of shedding water drop tears like we humans would weep, but whatever it is He/She is doing is supposed to be analogous. Weeping is similar to whatever it is that God is doing. Saying something is a metaphor doesn’t mean that it is totally unrelated. Saying something is a metaphor means that it is related but not exactly the same thing. If God weeping is a metaphor, there is still something going on with God about his being disappointed. God is disappointed. We have a tough time thinking of God as being disappointed. We want to be shiny happy people and we want to have a shiny happy God. (laughter) We can’t deal with our own disappointment. We can’t deal with a disappointed God. I think A Course In Miracles wants us to shift off that. It wants us to deal with disappointment and it wants us to deal with the idea of God being deeply disappointed. The idea of God being disappointed might be a needed mind correction that we need to conceptualize. Now, if God is being disappointed we can rest assured that He/She, God is choosing to be disappointed and must know that this is the choice that She/He is making. As such, hopefully God is empowered by His/Her disappointment and empowered to help with the correction, or empowered to create something that actually heals that dissapointment. Possibly, if we never allow this disappointed God image in our minds then we will never allow our own disappointments to surface. We won’t deal with them effectively and we are not going to be empowered to truly heal them. The world is always going to disappoint us. Our relationships will always disappoint us. Our apartments will always disappoint us. Our homes will always disappoint us. Our friends are going to disappoint us. The food we ordered for dinner is going to disappoint us. Everything is going to disappoint us. It’s the nature of the world. We have to get that. We have to deal with it. We have to be able to acknowledge this so we can turn it over and heal that disappointment by choosing something else. As I said earlier, in truth, we’re not actually disappointed by those things – we’re disappointed because we are choosing to have thoughts about these things that lead to the feeling of disappointment, regardless of what form is there in front of us. Now, if we don’t deal with our disappointments, and if we insist on being those shiny happy people who don’t acknowledge their disappointments, then we will not get healed. When disappointment doesn’t get healed it becomes hopelessness and despair. I think this is a great passage because it points out what A Course In Miracles wants us to do with our perceptions of disappointment. We see them, but we are asked not to choose to focus on them. Shift. Remember the kindnesses of people. Don’t dwell on the things they did that you think hurt your feelings. Think of the many blessings that this brother or sister gave you instead of sitting there writing a laundry list of the mistakes that person made, counting up all the times you think that person hurt you. Think of all the times she or he helped you. It’s just a matter of choice. How do you choose to think about people? How do you choose to think about yourself? Truthfully, how do we choose to think about God? What I like about that quotation is that it says the reason we are ambivalent in how we think about people – we sometimes think of them as good and we sometimes think of them as bad – is because we have an ambivalent view of God. We think God is offering both life and death to us so we see our brothers and our sisters as offering us both life and death. They seem to offer us good things; they seem to offer us bad things. It is all really a reflection of how we think our relationship with God is. As such, it’s a blessing that our brothers and sisters reflect this to us because it gives us a chance to work on – by working with our brothers and sisters – how we are going to perceive ourselves as a creation of the Divine. That’s important for me. I also like the fact that in this passage it talks about choosing to think of our brothers and sister differently but the passage uses the verb, “dream.” Dream of your sinless brother; dream of your brother’s kindnesses. Usually, we miracles students, and especially the shiny, happy people students, want to get out of the dream. We don’t want to dream. We think dreaming is not good. We want Reality! We want the real deal. We don’t want to dream. Yet, A Course In Miracles is telling us, “No. You are here to dream. What you need to do now is to choose the dream you want. Do you want a sinless brother? Do you want a kind brother? Do you want a thoughtful brother? Do you want a helpful brother? It’s your choice. Dream of him that way.” There will be those others things that will disappoint you. If you don’t focus on these disappointments, you still see them but quickly heal them. Sometimes this will be harder to do. Your disappointments may move you to an even lower energy and trigger you to have despair. However, it is always still your choice. You can always choose to dream of the positives about your brothers and sisters. The disappointment, indeed, is not really the problem. It’s actually a challenge that we need. It actually can be perceived as something very positive. It is frequently said that there is an opportunity in every crisis. There’s an opportunity in every disappointment that we have. There is the opportunity to transcend and to heal. There’s the opportunity to offer that healing to every brother or sister and, thus, fulfill our special function. Sometimes people tell us that we shouldn’t feel the way that we feel. I run across this. People tell me I shouldn’t be feeling that way. I think that when I am feeling that way, I can’t help but feel that way. (laughter) That’s the way I feel. I’m just expressing how I feel. Of course, my feelings are the consequences of my thoughts. If I express that idea then the person may tell me that I shouldn’t be thinking like that. (laughter) Hey, if I’m thinking like that, that’s the way I’m thinking. What I would ask for, what I want to put out there, what I would hope – the best thing that would help me – is that those people could model for me someone who, at least in that moment, was thinking differently and thus had a different feeling. They could model that for me. Then it would help me choose that for myself. I can reverse that mirror. I think about the times I told people, or I insinuated, that other people shouldn’t be feeling the way they were feeling. Maybe I’ve insinuated, or directly told them, that they shouldn’t be thinking the way they were thinking. In truth, all I should have been doing was modeling for them someone who, in that moment, was thinking different thoughts for himself and thus was having different feelings. When confronted with someone that is discouraged, disappointed – or possibly has moved beyond discouragement and disappointment into despair – our task is to model a difference. Our task is to model someone who has made, and is still making, a different choice. I don’t think it is appropriate to tell people how they should feel. I don’t think it is appropriate to tell people how they should think – but it is always appropriate to model for people somebody who is thinking differently and, hopefully, somebody who is having different feelings. Let’s get back to God weeping for a minute. Maybe when God weeps what we should be doing, instead of dancing around this idea that it is all a metaphor, is possibly modeling for God, at that particular moment, a different kind of thinking and a different kind of feeling. Maybe we should be modeling that we can actually focus in on Divine thought and thus feel Divine. Maybe if we show God how Divine our thoughts can be He/She will stop weeping because She/He will see that we have at last chosen our Divinity. This article appeared in the June 2008 (Vol. 22 No.4) issue of Miracles Monthly . Miracles Monthly is published by Community Miracles Center in San Francisco, CA. CMC is supported solely by people just like you who: become CMC Supporting Members, Give Donations and Purchase Books and Products through us.